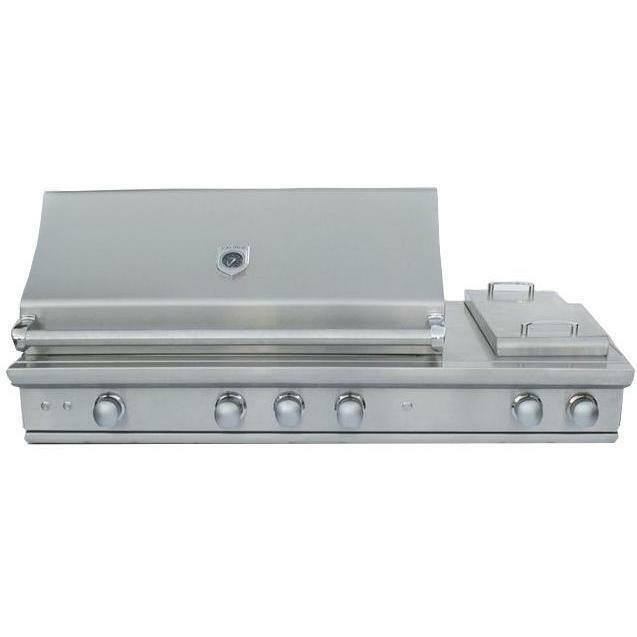 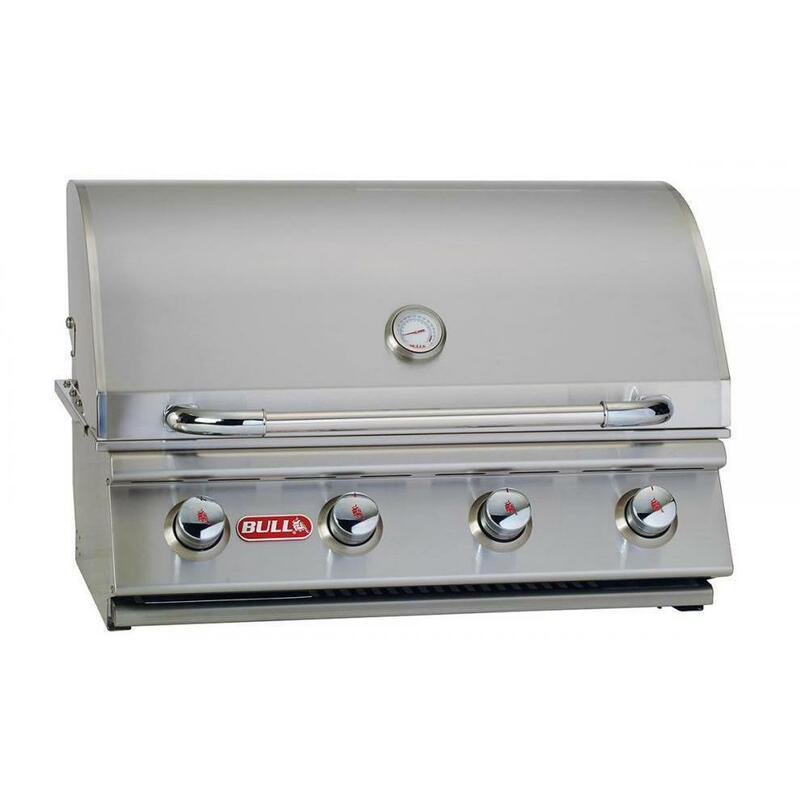 Product Description: Caliber CrossFlame Pro 60-Inch Built-In Natural Gas Grill With Sear Burner And Double Side Burner. 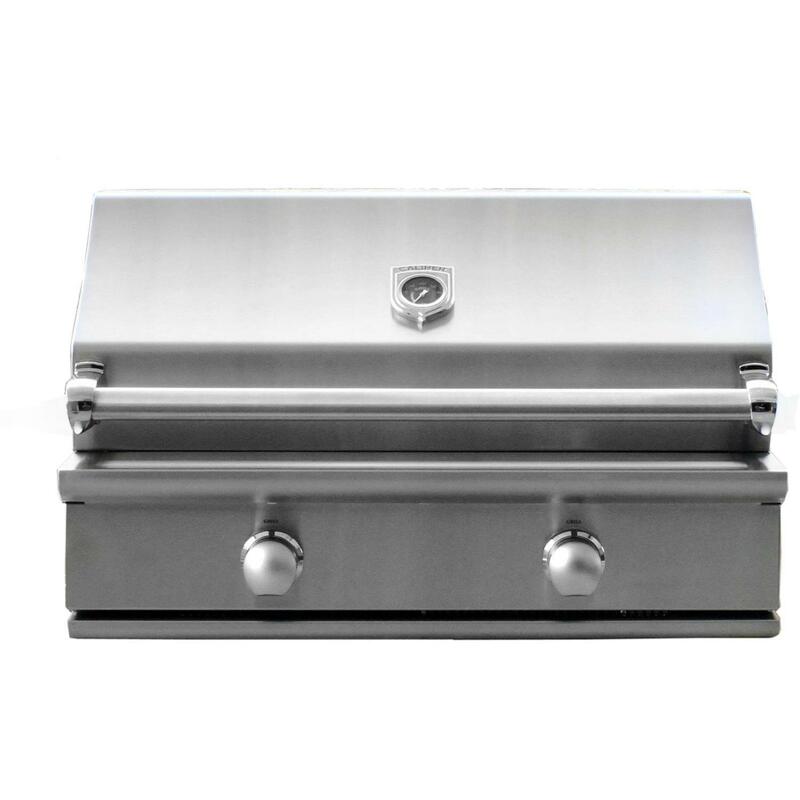 Designed to exceed the expectations of the most seasoned grilling aficionado, Caliber grills bring innovation and passion for culinary design together in one package. 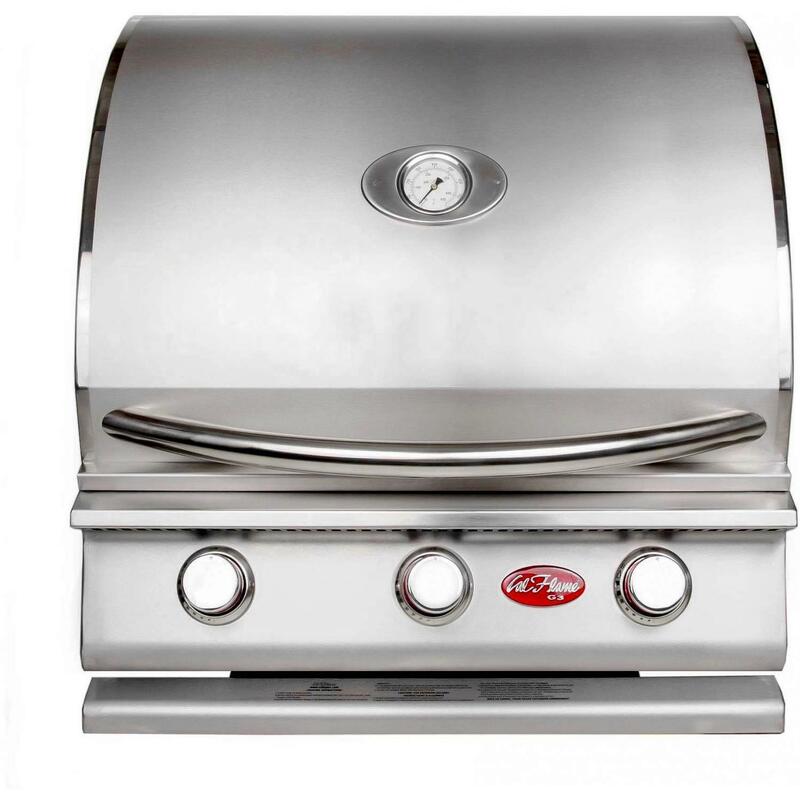 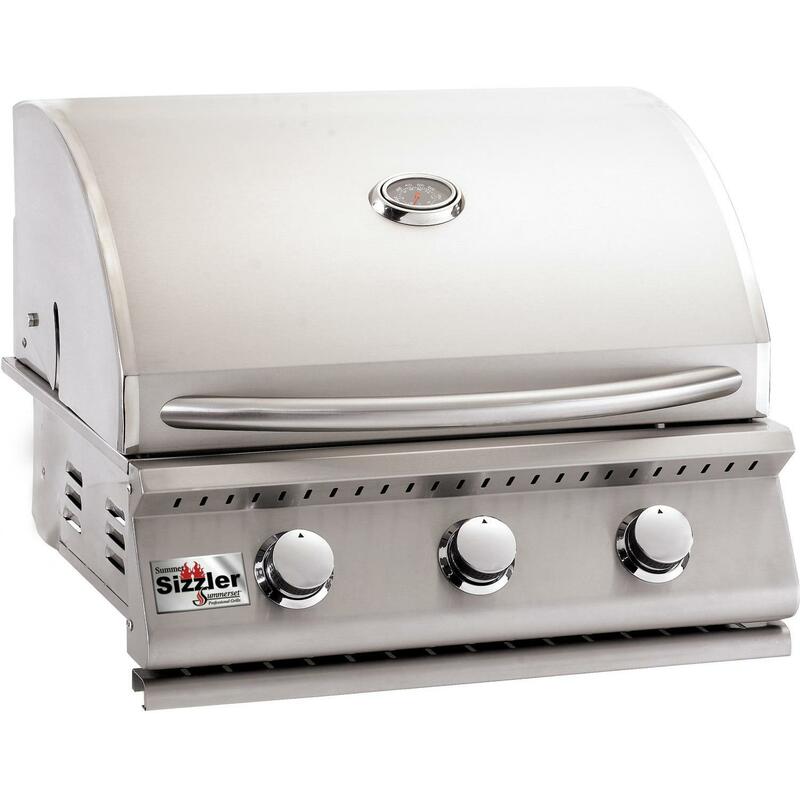 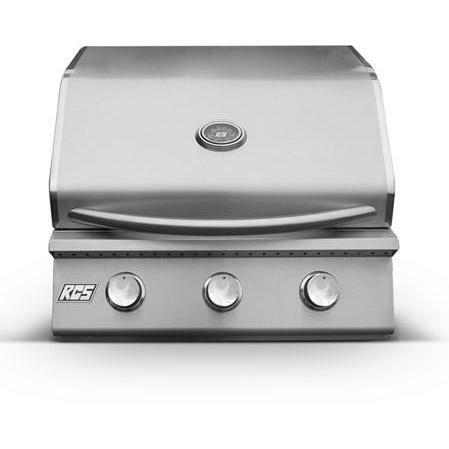 This American-made, built-in gas grill is constructed from seamlessly welded stainless steel for a professional look and lasting durability. Lighting the grill is made easy with the reliable electronic ignition system. 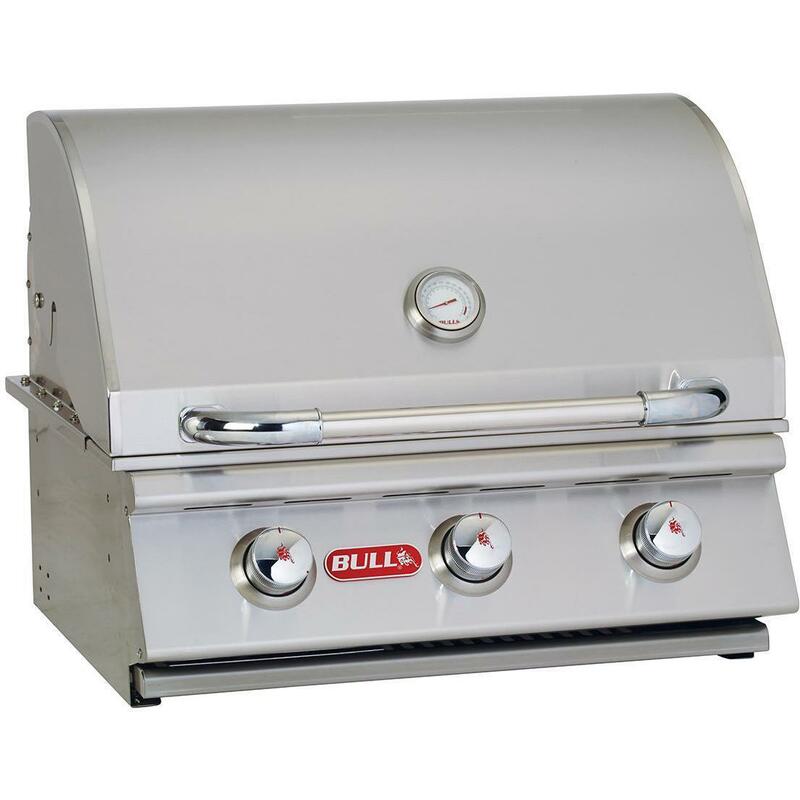 Inside the grill, a 25,000 BTU infrared burner adds steakhouse-style searing capability while two 30,000 BTU cast brass Crossflame burners are engineered to deliver intense heat with a total of 85,000 BTUs. 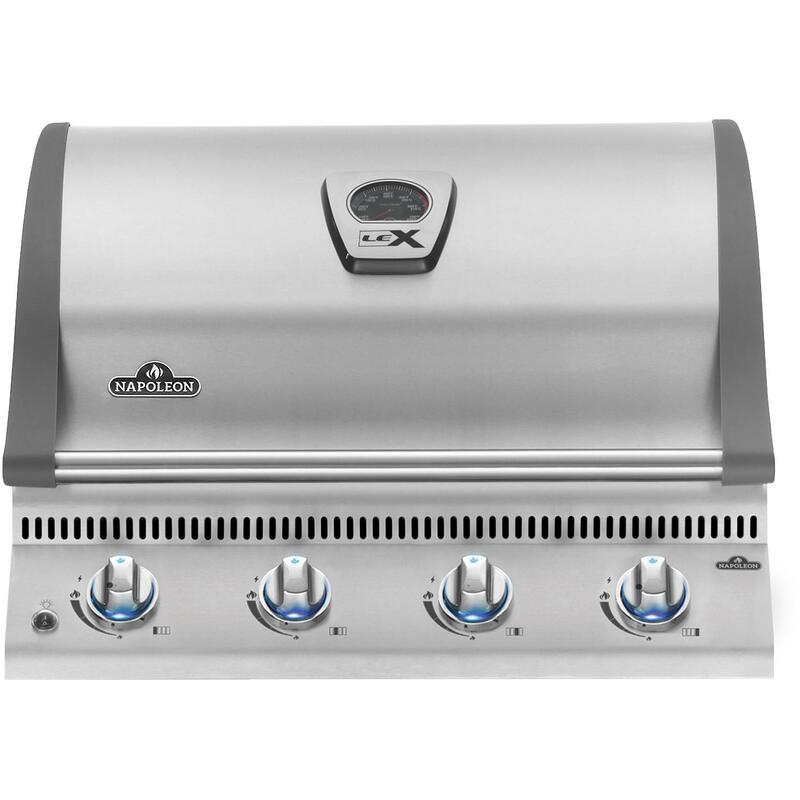 Directly above the burners, an exclusive Crossflame radiant system ensures the grill has even heat across the grilling surface for easy cooking. By delivering heat evenly and powerfully, this system uses energy more efficiently while reducing flare-ups. 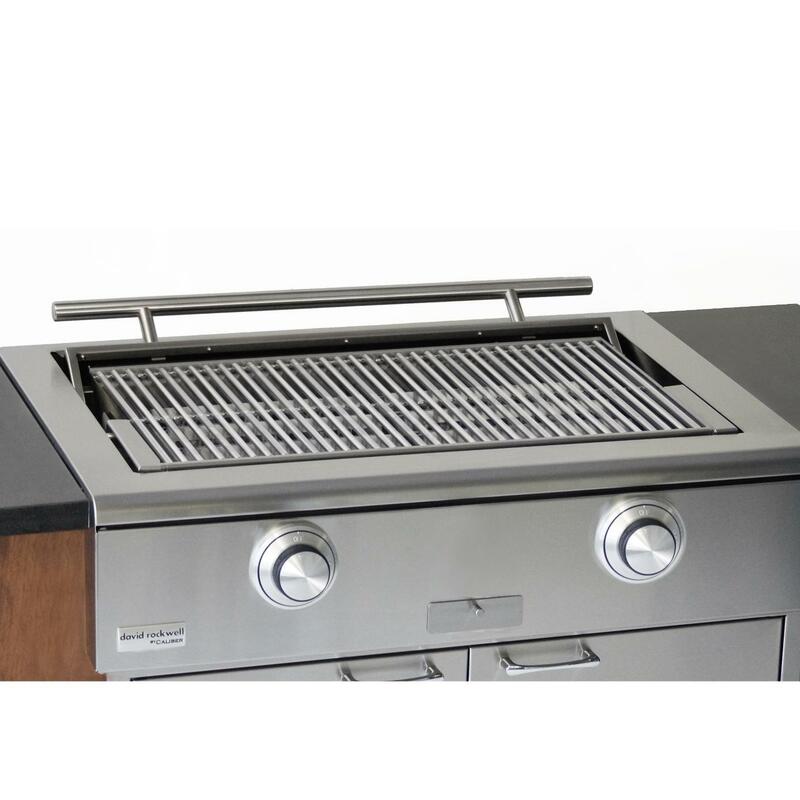 This grill includes a 15,000 BTU rotisserie burner with smoker tray for infusing your food with extraordinary flavor. 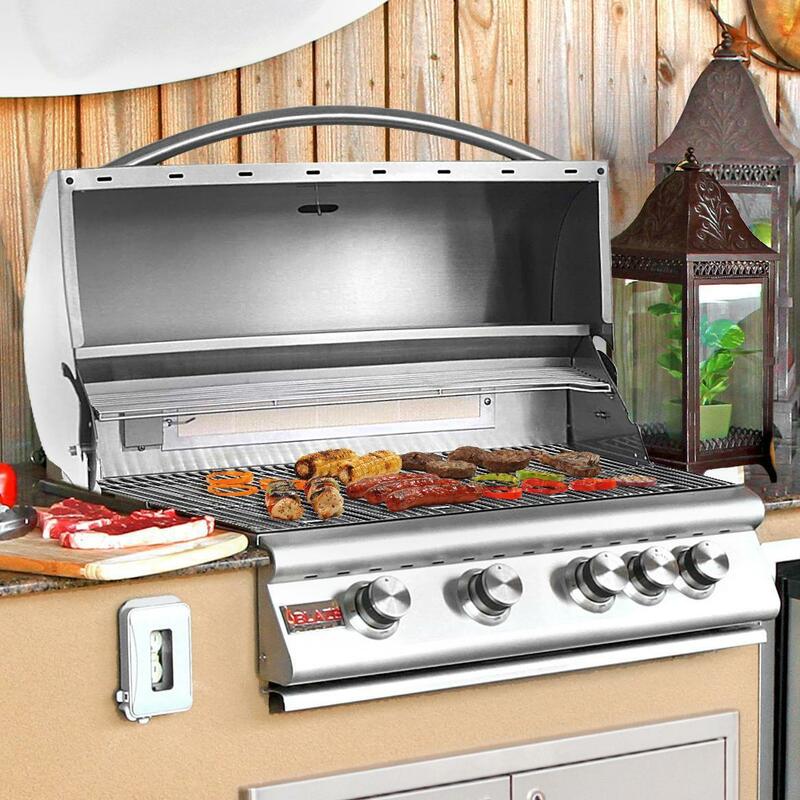 A convenient grill-mounted storage area safely stores the rotisserie rod out of the way when not in use. 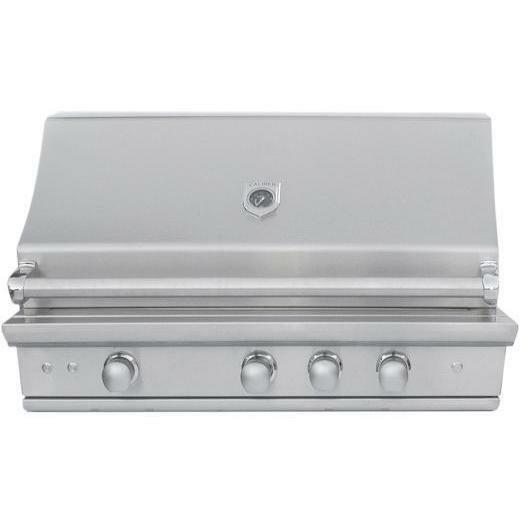 Cook a dish on the side or heat up some BBQ sauce using the built-in PowerPro 18,000 BTU side burner. 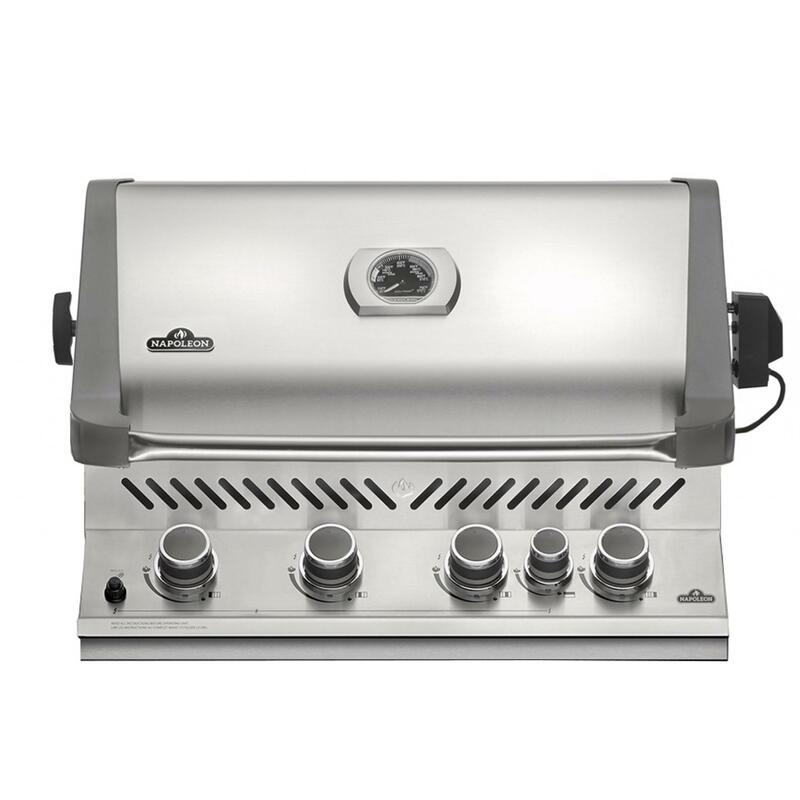 The CGP60-2G-1SR-2SB-N natural gas grill also features cooking zone dividers for cooking at different temperatures across the grilling surface while the built-in temperature gauge helps you monitor the temperature. 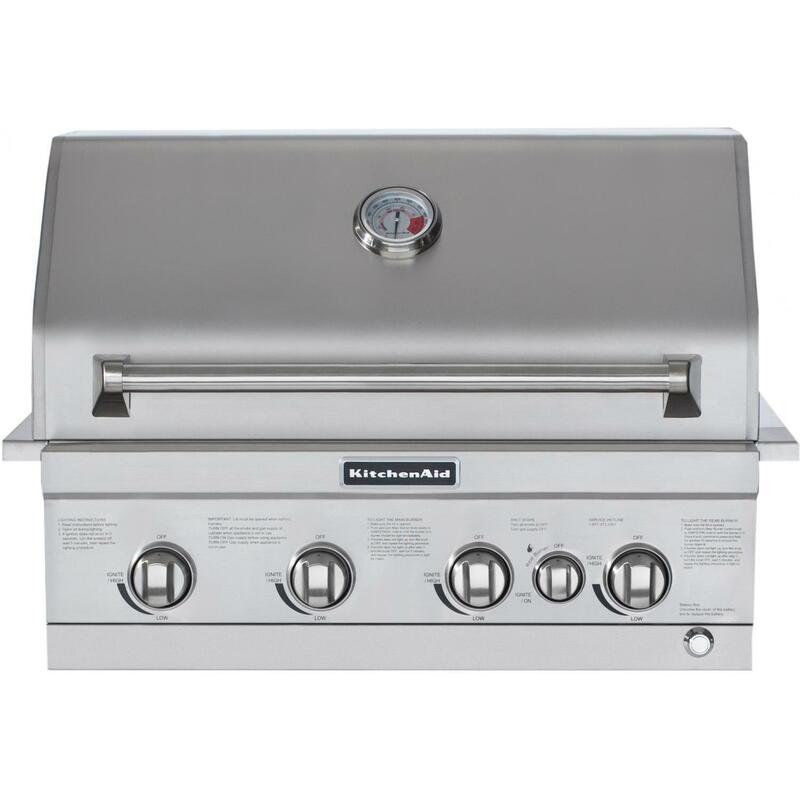 The heavy gauge, 3/8 inch stainless steel cooking grates offer an ample 1,075 square-inch main cooking area and 460 square-inch secondary area, for a total of 1,535 square-inches. 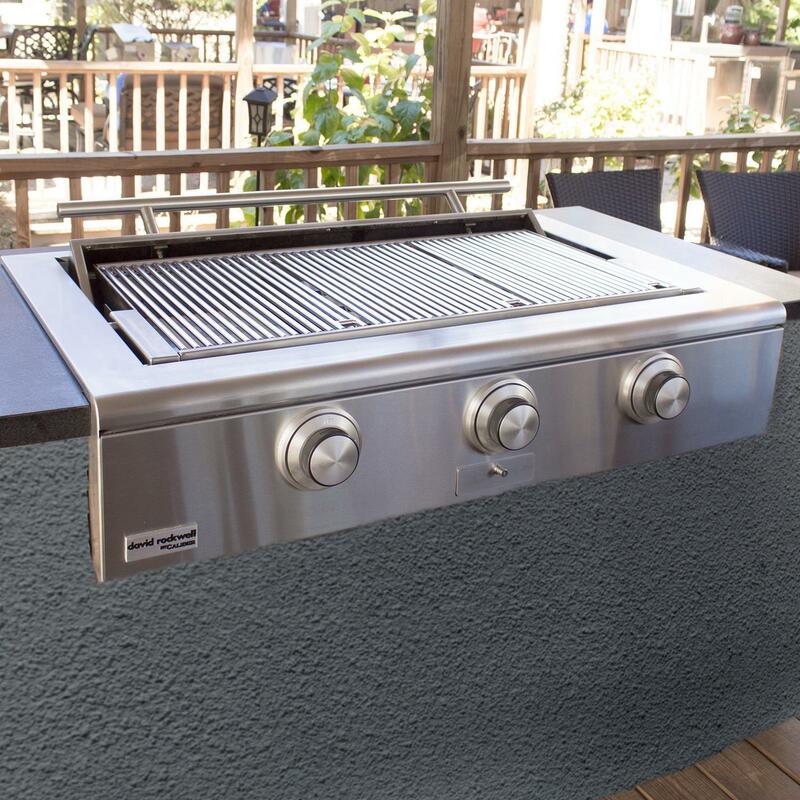 The welded grates are reversible which allows you to flip them over to cook food closer to the heat or elevate them while cooking delicate items. 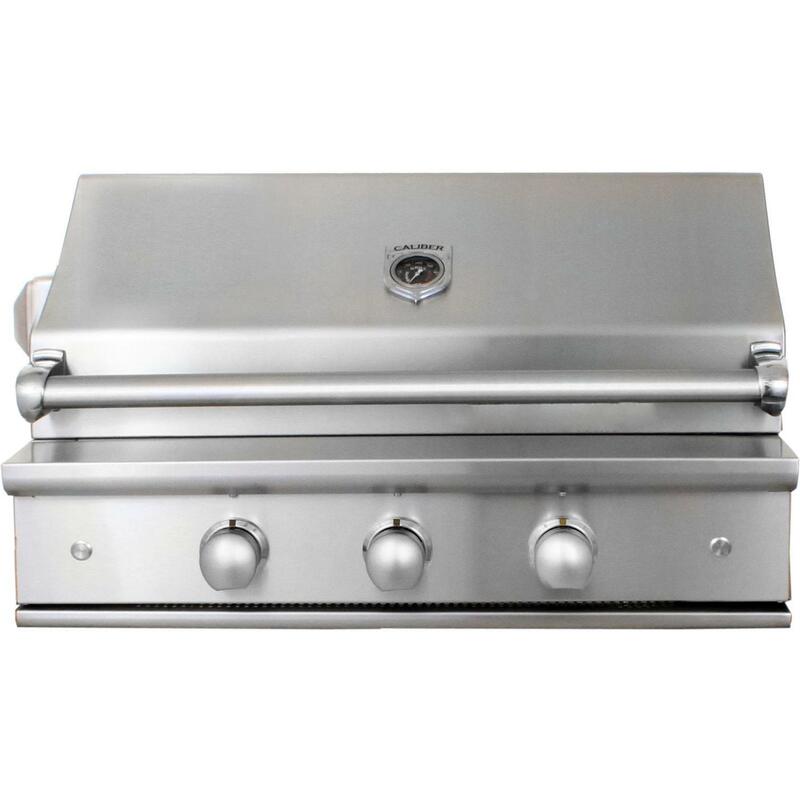 This Caliber built-in grill has stylish knobs on the control panel with yellow LED accent lights and two, high-powered halogen lights illuminate the grilling surface while cooking at night. 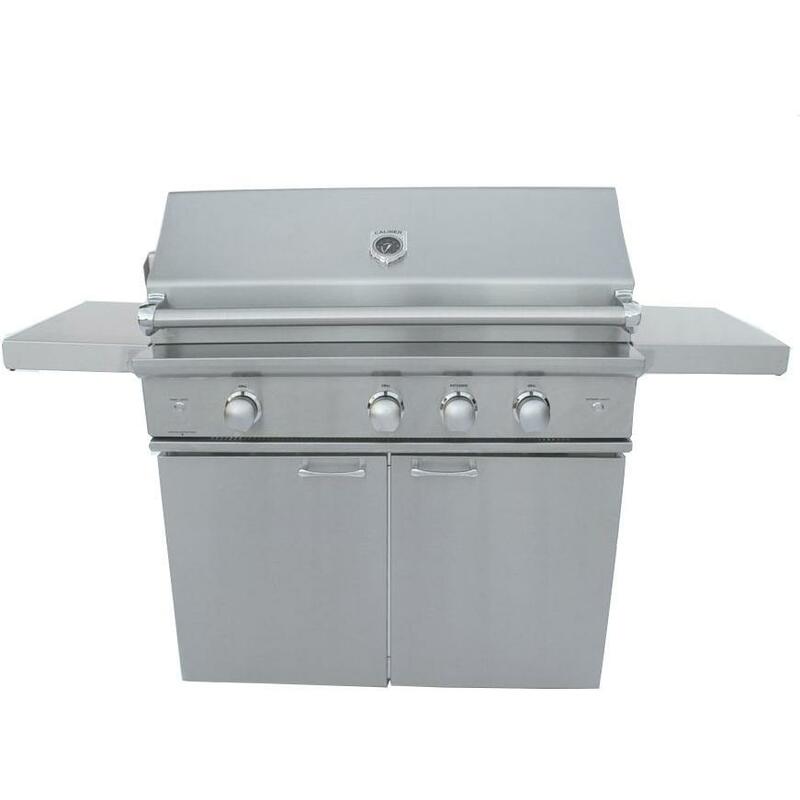 This innovative grill also has two exterior work surface lights which add ambiance to your evening entertaining.